Chinatown continues to surge with new concepts, including an upcoming opening of Belle Belle’s Cue in the former Lobsta Shack space along Sunset Boulevard. The newcomer brings a fresh barbecue perspective to Los Angeles, offering a slew of wood-smoked options from brisket to spare ribs to pulled pork and turkey. You can buy each by the half-pound or set them up as meals and sandwiches, respectively. Add in beer, wine, dessert, and drinks like Kool Aid, and suddenly the place feels like a party. The full menu is below. Lobsta Shack, a brick and mortar offshoot of the Lobsta Truck, first opened in Chinatown back in 2014, but seems to have quietly called it quits right around Christmas. The shutter follows a similar timeline to nearby Knuckle & Claw, a different lobster roll option that similarly fell by the wayside in December, though the Lobsta Shack owners are behind Belle Belle’s Cue, and their truck remains open. The arrival of Belle Belle’s Cue should only add to the slew of new names landing in the area soon, from a wine bar backed by Dustin Lancaster to Highland Park Brewing over in the more industrial stretch close to Lincoln Heights. 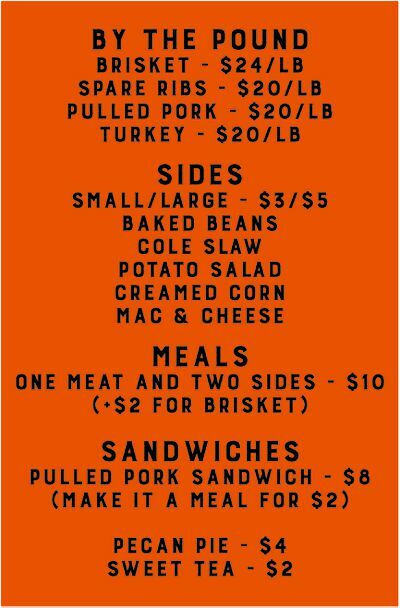 Look for the quick-flipping Belle Belle’s Cue to start competing with nearby Spring Street Smokehouse BBQ by the end of this week. 701 W. Cesar Chavez Ave.
“Lobsta Shack Shutters in Chinatown as Bright New Barbecue Option Moves In.” Eater LA – All. http://la.eater.com/2017/1/9/14200184/belle-belles-cue-lobsta-shack-chinatown-barbecue-opening.